We're a (multi) disciplined design firm, owned by creative enthusiasts, driven by excellence, fueled by wheat thins. We believe challenges are best tackled with upside-down thinking. We believe designing for the greater good is our biggest challenge. We believe the best solutions are beautiful to look at. 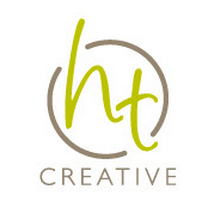 HT Creative has been Paragon’s go-to copywriting machine and concept development cohort for most of our adult lives. This e-commerce platform shares the same origin story as us: locally grown in Savannah, GA and now serving clients across the globe as a force for good. When it comes to enterprise level web development we ramp up our project management capacity with this heavy duty PM team. Andrew and his team were fantastic to work with from the beginning and we are now using them for other animation projects. They were accessible, responsive and concerned about making sure that we loved our final product. We couldn’t be happier with the results and would recommend them to anyone with an animation project. Working on the Wicked Opportunities with Paragon was a great experience. It was challenging before we got them involved because we went at with with our own script and concept which was absolutely horrible. They just told us to explain it in our own words, and took that and turned it into something that we’ve shown all over the world and that people instantly understand. Whenever I work with this team, they inspire me to greater creativity. Outstanding work. 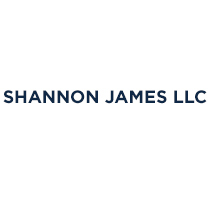 One of the most professional contractors we’ve ever done business with. Hit every deadline, completely professional, and the final product exceeded our expectations. Would definitely use again. I have worked with Paragon several times over recent years and find them to be expert in every way. They specialize in getting square pegs in round holes, defeating project monsters like looming deadlines and defying gravity. Working with Paragon was valuable and money well spent. They compete on the quality of their work and as a testimony it’s that good! Paragon has been awesome! Not only do they know their technology, but they bring ideas to the table (creative, process and technology). And they are dedicated, responsive and sensitive to our deadlines. It’s like having an extension to my marketing team. Approachable, friendly, and quick to respond to queries the team at Paragon are a pleasure to work with. They quickly got to grips with our business and what I was trying to achieve, even if I was not so eloquent myself! It definitely helped ease the pain of a tough project and ensured we came out with a great result. We didn’t realize how transparent, painless and fun a web project could be until we joined with Paragon. I credit this to the expertise, creativity and professionalism that the Paragon staff possess. Not only was our project completed ahead of schedule but they have been instantly available for minor tweaks as needed since then. Their service and dedication to a great product is unparalleled. Plus, their Christmas cards are doper than anything you will receive in December. Good lord, hire them just because of the Christmas cards.